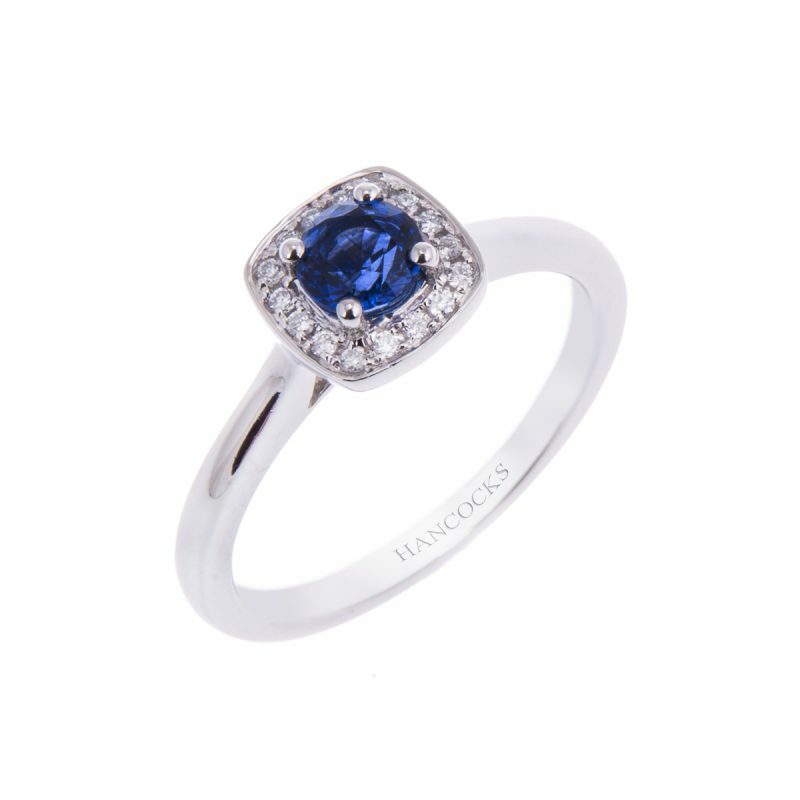 Platinum sapphire and diamond halo set cluster ring. 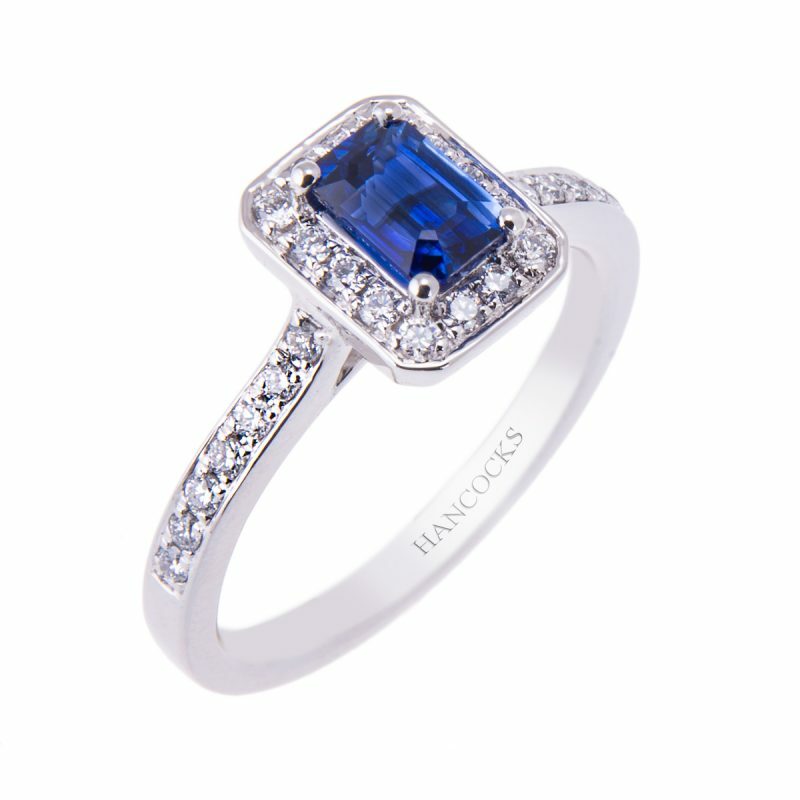 A central cushion cut vibrant blue sapphire in a 4-claw setting surrounded by a row of brilliant cut diamonds, the diamond detailing continuing along the shoulders. The perfect gift to capture the romance and excitement of one of life’s precious moments. 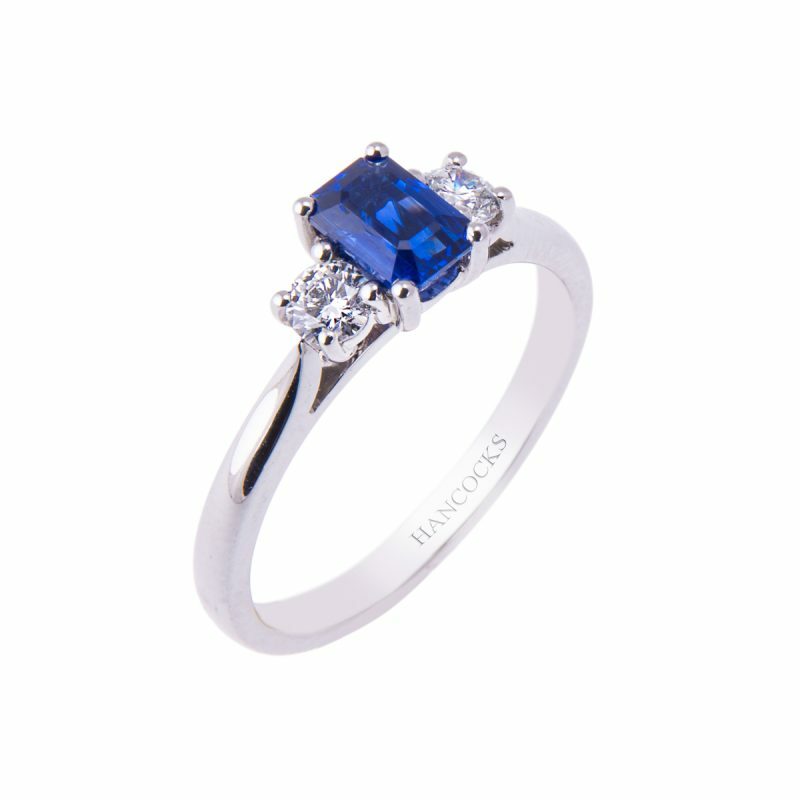 Sapphire is formed from the mineral corundum which is second only in hardness to diamond. 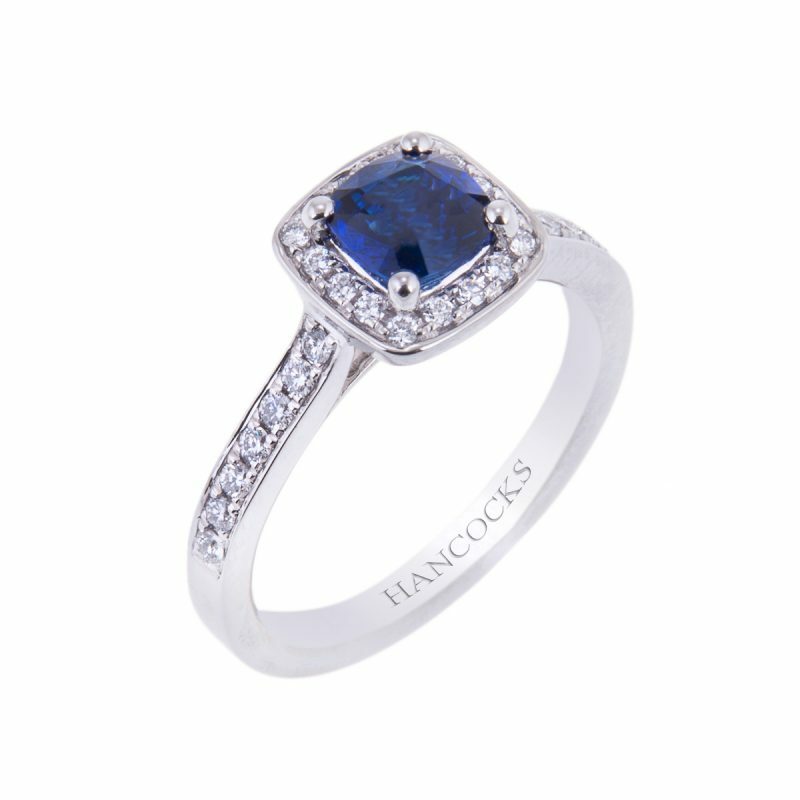 This makes it a great choice for a fabulously stylish ring that can be worn everyday.